The UK will maintain environmental protections, safeguard animal welfare and support the production of high quality food, the Prime Minister will say as she meets farmers and food producers at the Royal Welsh Show. Theresa May will set out the Government’s plans for a post-Brexit farming policy which works for farmers and food producers, while improving the environment, by replacing the EU’s Common Agricultural Policy – which awards subsidies based on the amount of land farmed – with a new system of public money for public goods. In a roundtable with farmers and agricultural organisations including the Royal Welsh Agricultural Society, Farmers Union Wales, NFU Cymru and the CLA, the Prime Minister will also reiterate her commitment to maintaining current funding levels until the end of this Parliament to ensure farmers have the certainty they need to plan for their business. 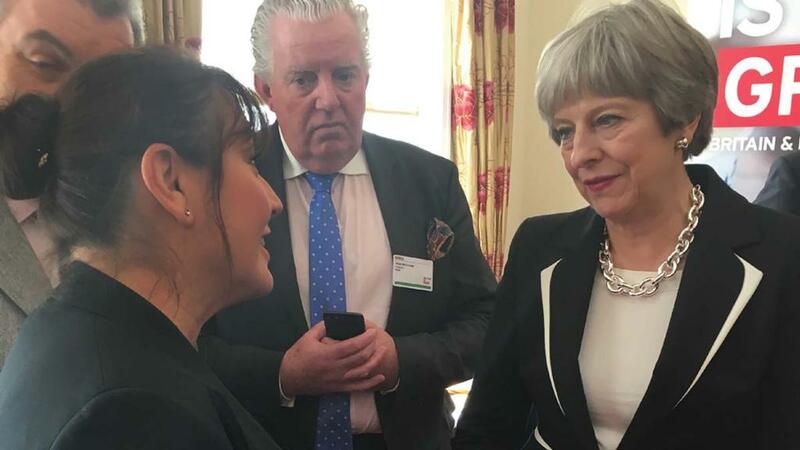 Prime Minister Theresa May said: “This Government is committed to supporting the half a million people who work in agriculture and growing our world leading food and drinks sector, which contributes over £100 billion to the UK economy. But we also need to protect the farmed environment for future generations. “I want to make the most of the freedoms provided by Brexit to design a new scheme that is less bureaucratic, and does away with the overly prescriptive information farmers currently have to provide to apply for grants. “I commend our hard working farmers up and down the country, and here in Wales, who deserve better than the fundamentally flawed CAP system. That is why I want to hear from them today about what they need so we deliver a farming policy which supports the whole industry. During her visit the Prime Minister will also meet with the Wales Young Farmers Club, and stall-holders in the Food Hall, sponsored by Food is GREAT, alongside setting out measures from the 25 Year Environment Plan to protect the nation’s countryside and steps to bring forward the first Environment Bill in over 20 years.